“An Unexpected, Exhilarating Experience”, by Aldo Missio. 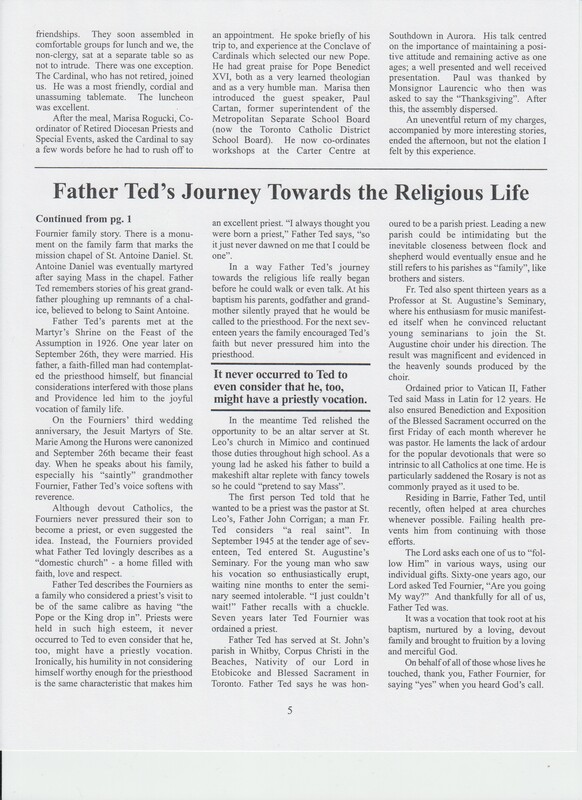 Published Fall, 2005, Shepherds’ Trust Newsletter. This entry was posted in AUTOBIOGRAPHY, BIOGRAPHIES & OBITUARIES and tagged Biographies and Obituaries, Msgr. Vincent Foy. Bookmark the permalink.